Bose has built a reputation for making high quality beautifully designed products matched with equally outstanding performance. 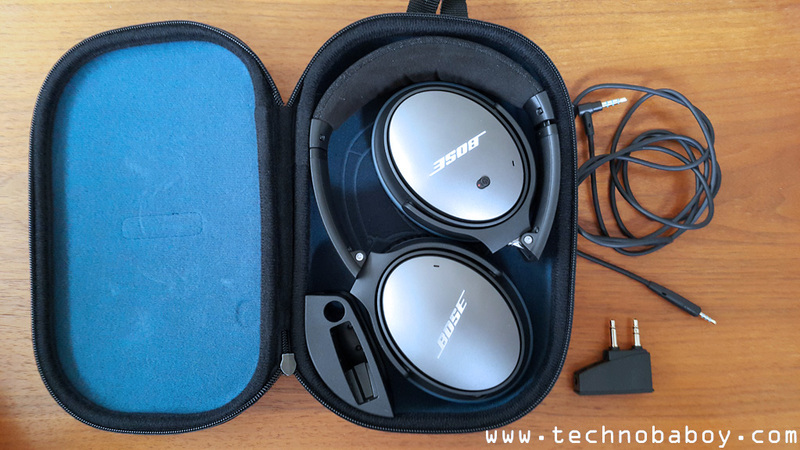 The Bose Quiet Comfort 25 (QC 25) Acoustic Noise Cancelling headphone is no exception. 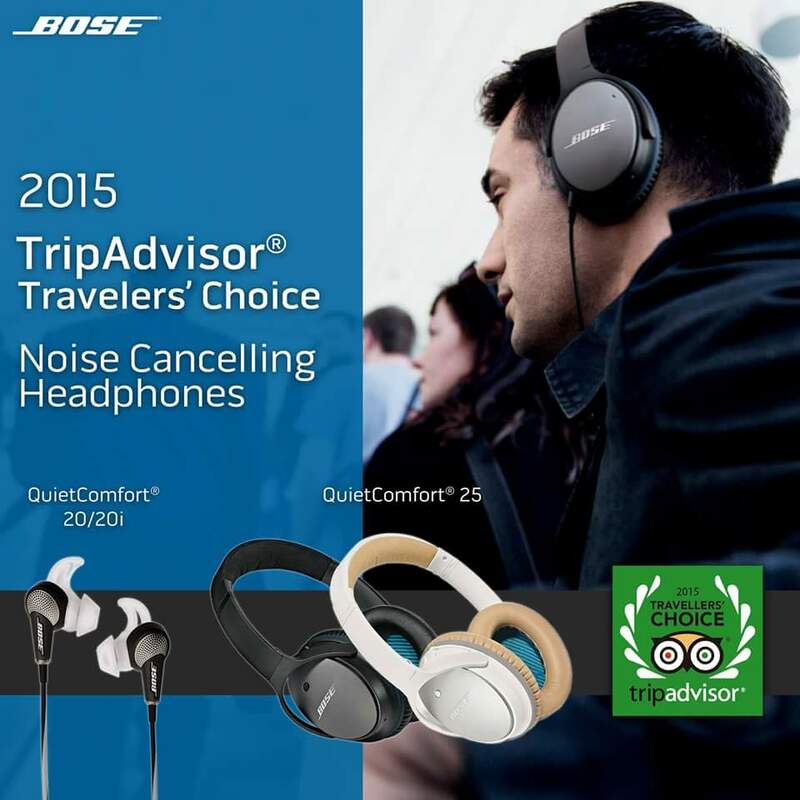 Awarded by TripAdvisor as the 2015 Traveler’s Choice for Noise Cancelling Headphones, the QC25 unsurprisingly performs well, and admirably does what it’s intended to do and more. 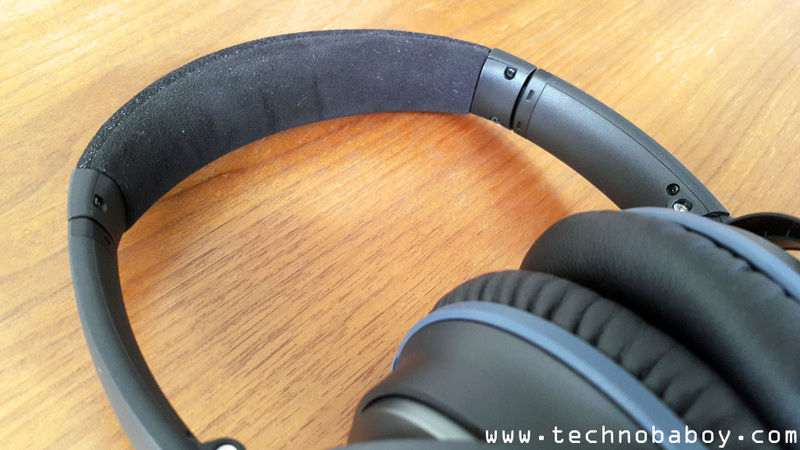 Our review of the Bose QC 25 starts now. The QC 25 retail package comes with a carrying case, a 3.5mm audio cable with mic and remote, and an airline adapter. The dimensions are H 19.1 cm x W 15.2 cm x D 2.3 cm. It weighs in at 195.04 g.
The QC 25 features a minimalistic design. The look is serious and business like, as it is elegant. The colors used are mostly gray and black. 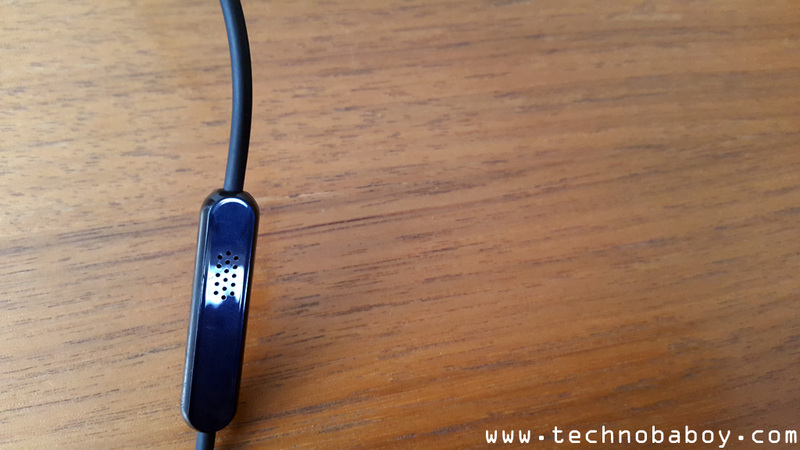 The headphone is made of mostly high quality plastic with metal hinges. The top of the headband has ample padding covered by a smooth fabric. The earcups are covered with soft, plush faux leather. 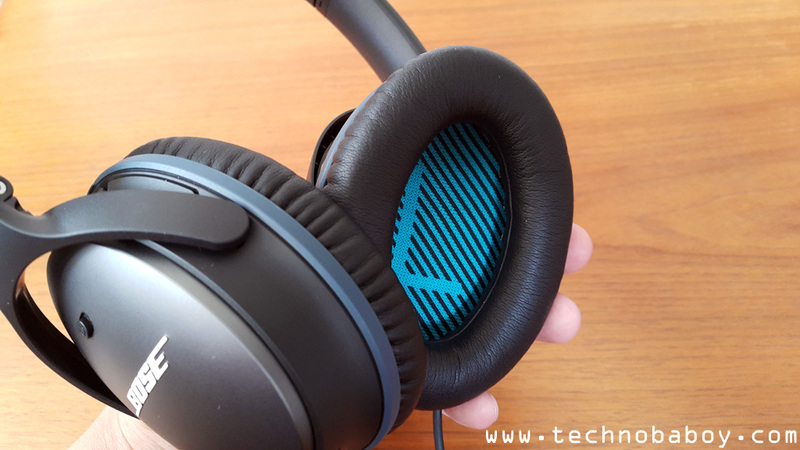 Inside the earcups, the grills are colored with aqua blue accents where you will also see the L and R indicators. 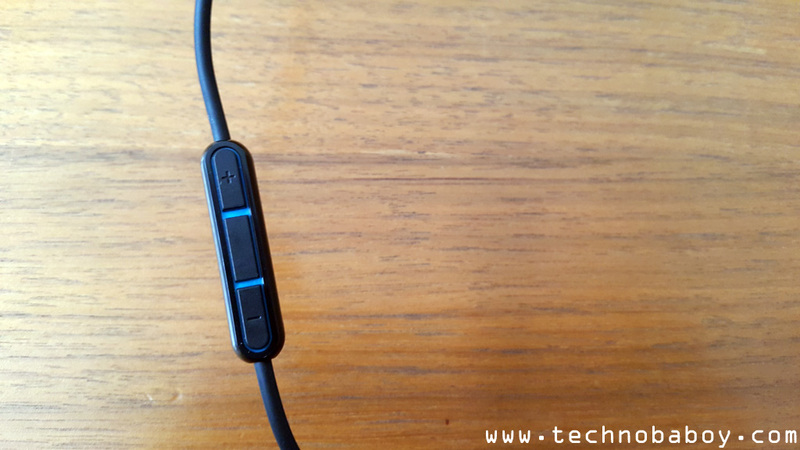 The power switch for the noise cancelling tech is located on the outside of the right earcup. The AAA battery compartment is also found here as well. While the audio cable plugs in on the left earcup. 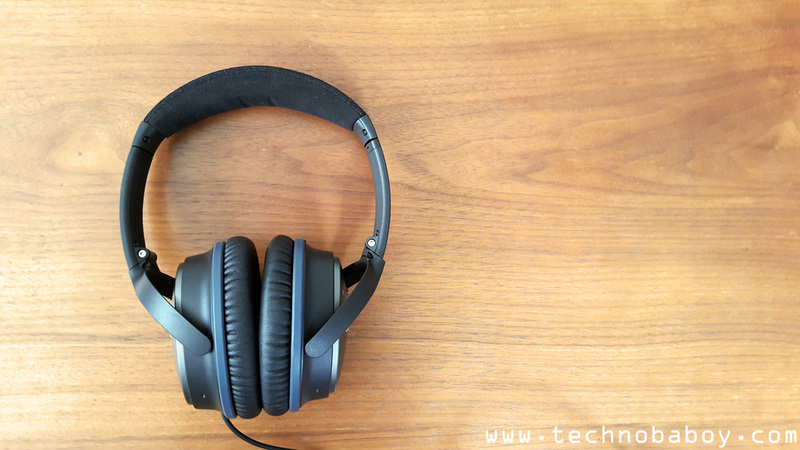 Over all, the build quality of the QC 25 is great, characterized by a simple but elegant and professional design, and superior comfort. The QC 25 uses one AAA battery to power the active noise cancelling and the Active EQ tech and is rated to last up to 35 hours. The headphones can, however, continue to play music in passive mode even after the power has died. In passive mode, the sound quality is not as pronounced. Treble and bass, as well as the overall volume, sound mild. Once you turn on the active mode, though, things start to get interesting. The audio quality and volume drastically improves. Sound becomes more alive, crisp and clean. The bass is nice, deep and loud. Noise cancelling is also top notch. You can already barely hear anything in passive mode. Once the noise cancelling is turned on and you start playing music or videos, all sound is blocked out. Suddenly, it’s just you and your music/video. 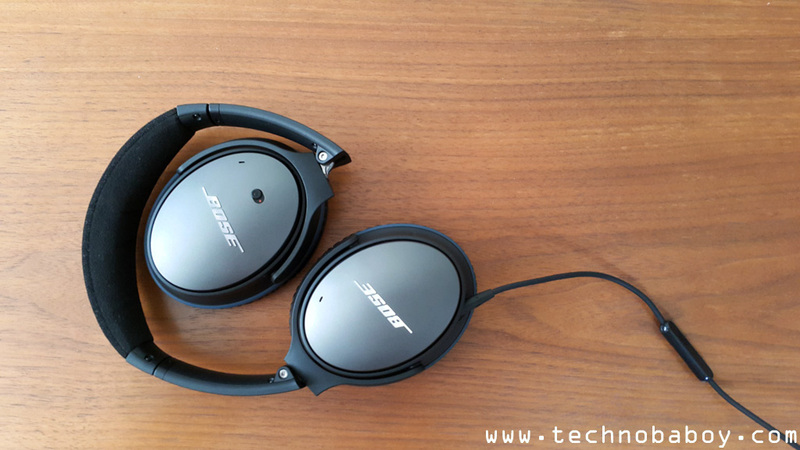 The Bose QC 25 is the perfect headphones for frequent flyers. 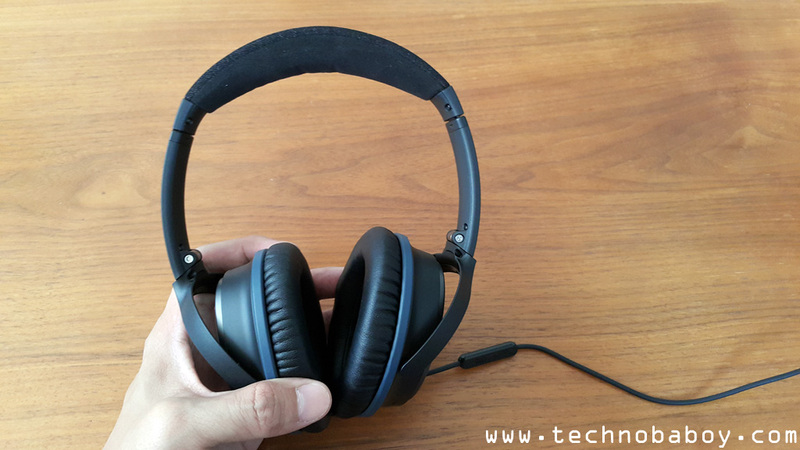 Its noise cancelling tech is one of the best, without compromising sound quality. It’s incredibly comfortable to wear, even during long listening sessions. 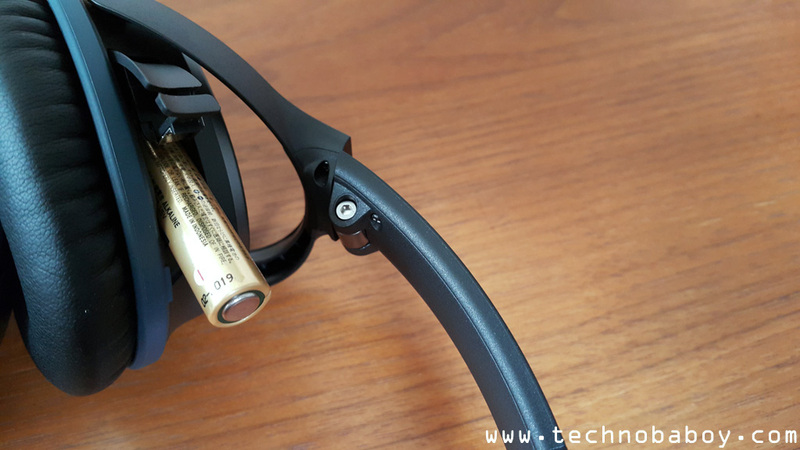 It has a carrying case and an airline adapter, plus up to 35 hours of battery life. And then there’s the passive mode as well. The only thing that could hold this back is the price. 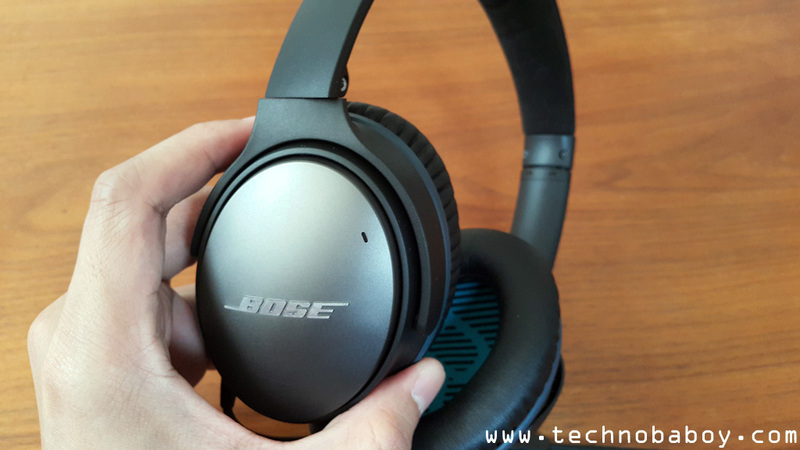 At PHP20,000, the Bose QC 25 is a bit costly. But if you are a frequent traveler who’s mostly on long hour flights, then this could be a nice companion to take along with you. 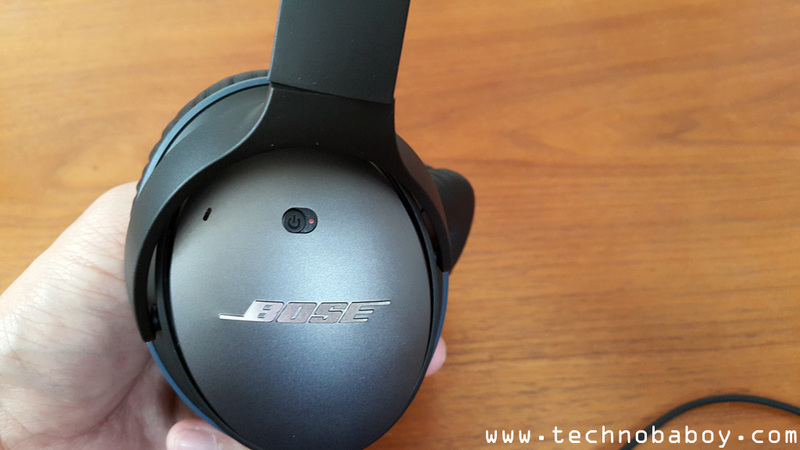 The Bose QC 25 is now available through Bose retail stores in Metro Manila.